On the 21st of September, it was last Sunday, at 6.30pm I kept my FROW seat warm as I admired the Milan Fashion Week Finale Show: presented by Domenico Dolce and Stefano Gabanna. Black, white and red colour palletes. 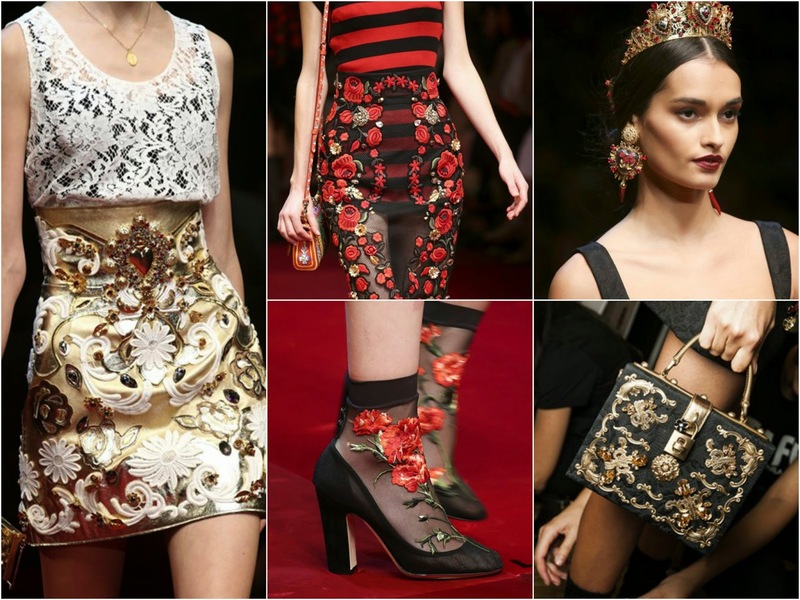 Beautifully executed jewels, embroidery and lace. I fell in love with the collection through myiPad screen - thanks to online viewing. I watched the show, whilst wearing my printed pyjama, drinking tea and finishing my homework; it was almost just as good as the real deal! 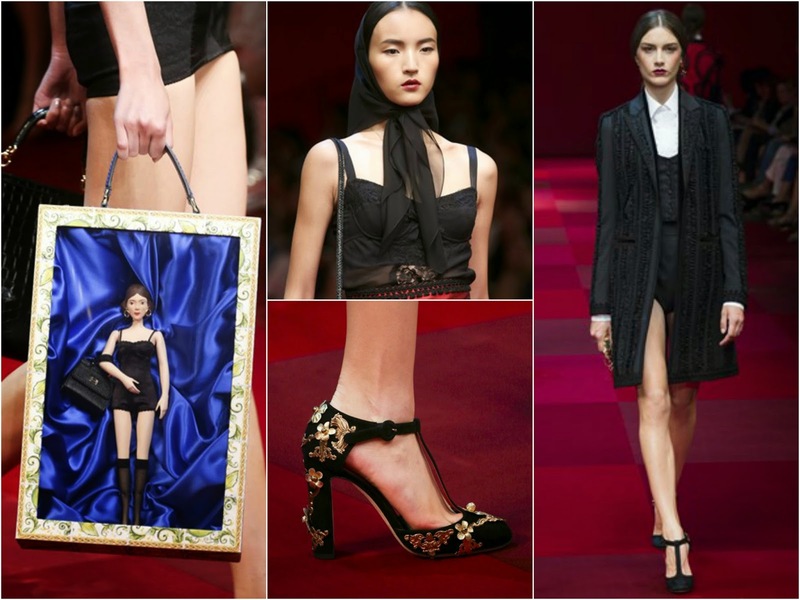 On a side note: I think the clothes, makeup, hair, accessories, all the way down the shoes of each model are perfect. 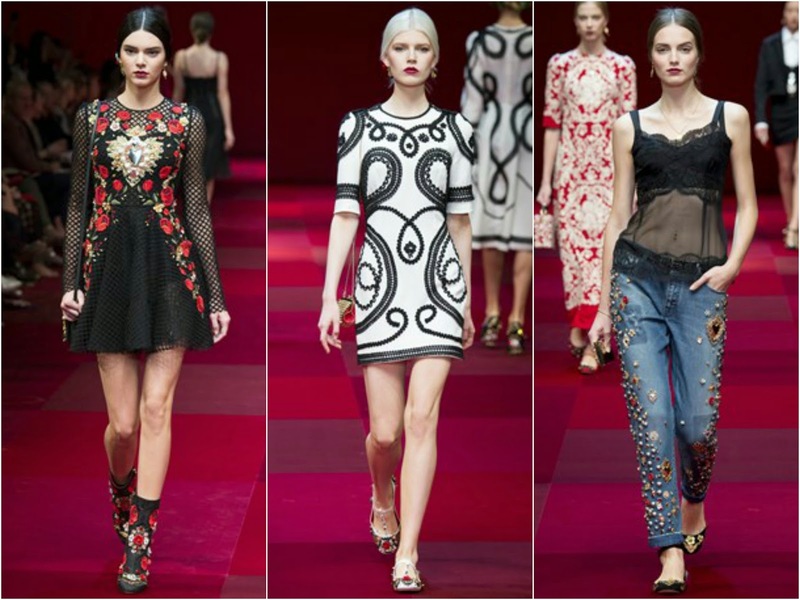 The ready-to-wear show needs to be ready-to-give-to-laurie! I've been obsessed with the pieces of this collection so it deserved an appreciation blog post. I would happily steal everything for myself. 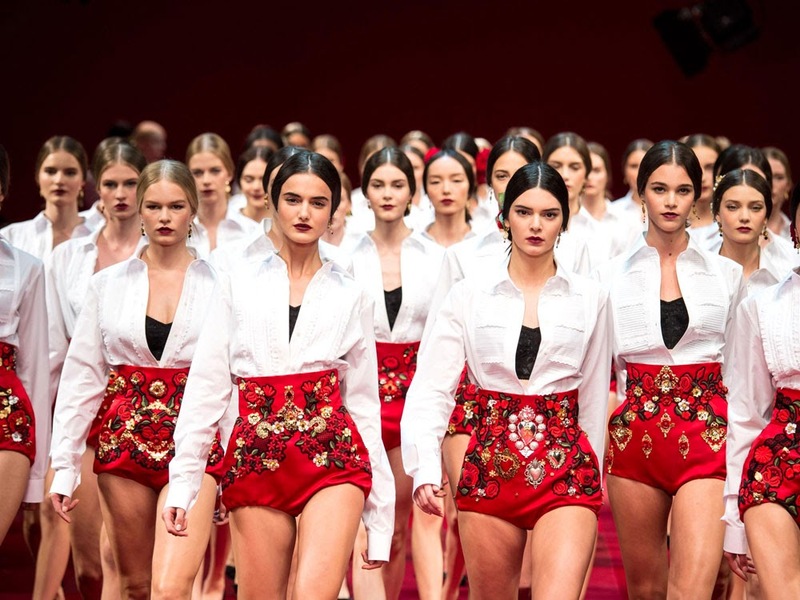 Let's not forget how stunning Kendall Jenner looks front and centre of the Signature Dolce finale. I included some of my favourite pieces for you to appreciate. Everything is plush, slick and GORGEOUS! Ahhh! This has been my favourite show of all the fashion weeks so far, soo amazing! !